Does anyone know what this inner little shelf does? Mine has seen better days and I am wondering if I even need to replace it. 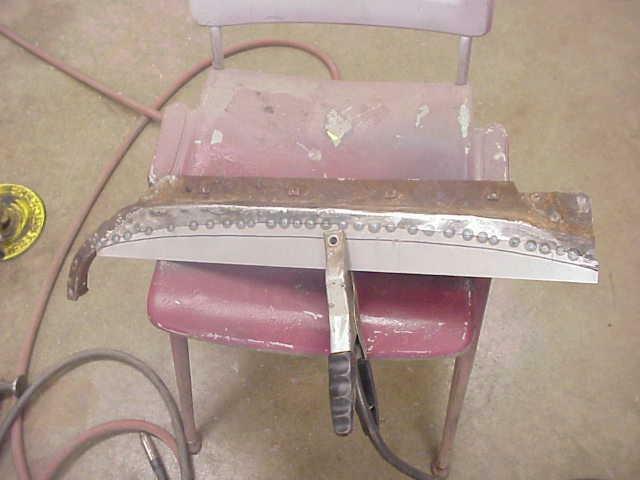 I dont even know if it was welded to the outer quarter or not. 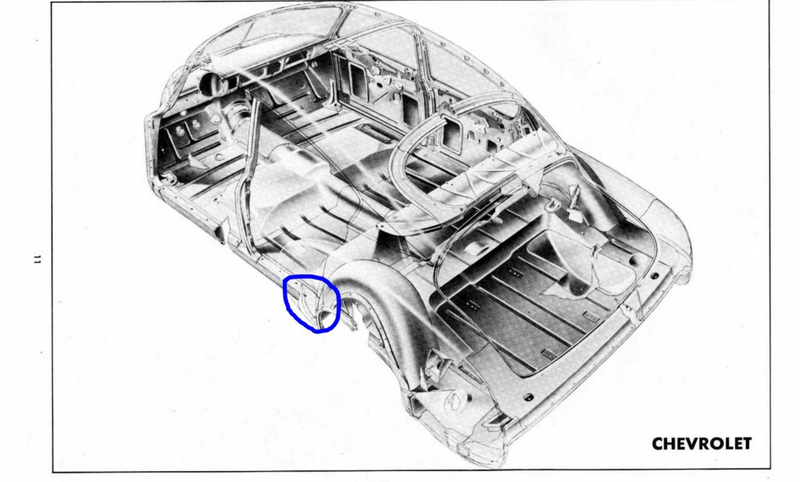 It gives you something to attach the the top of front lower wheel well [rocker panel] end cap to. 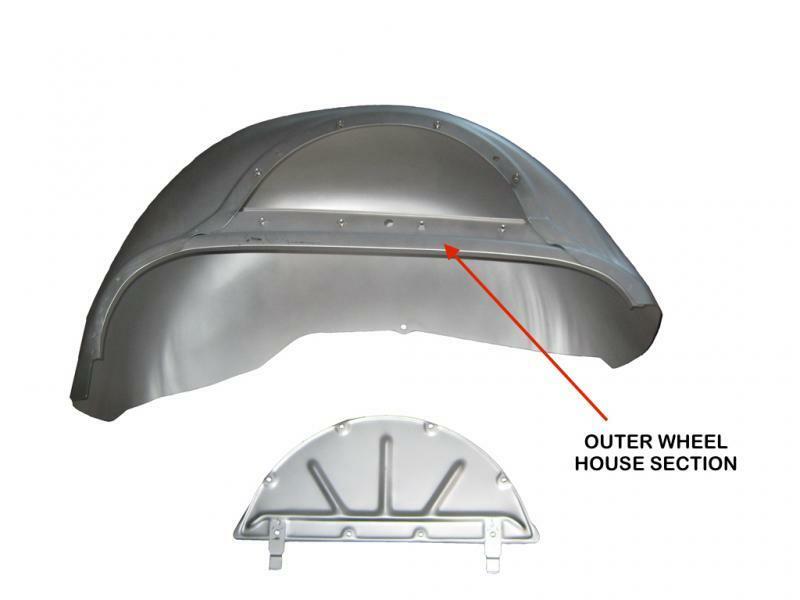 It is not welded to the outer panel. Only the outside edge of the end cap is welded to the flange on the wheel opening. It separates the lower quarter/rocker area from the interior. 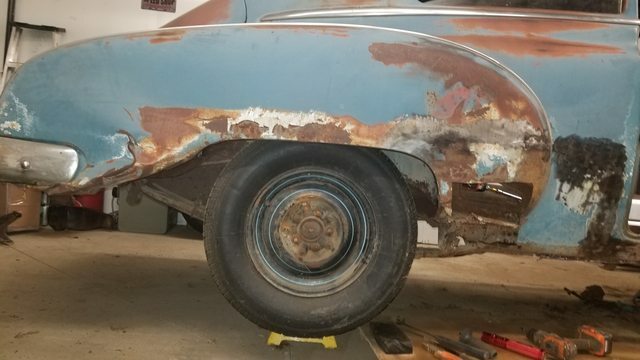 It's not welded to the quarter, but the gap is filled with sealer. I made new pieces. Okay, thanks for all the info. Thanks for the pictures and the template! It helps immensely for a first timer to see what you guys have done. Looks like I have a couple pieces to fabricate, and my fender well. Any tips on ways to line up the front quarter correctly when the inner and outer rocker aren't straight? Mine seems to have come in contact with something and were bent, tore and twisted; as well as the quarter. Edited by z28summit on 02-02-19 07:35 PM. Reason for edit: No reason given. How much of your wheel house is there? Edited by z28summit on 02-02-19 08:18 PM. Reason for edit: No reason given. It doesn't look too bad where it counts...namely the upper portion. Looks like the trailing end might need some work. This is a photo of the center section dropped out and being reconstructed. The lower image will give you an idea of how it looks in a pristine state. Also both photos are the left side. I think mine is good. I dont see any damage to it up top. When you start peeling away the rot is when you start seeing the extent the repairs will be. I found cover panels, galvanized tin, window screen, and pop rivets, topped off with gallons of bondo. 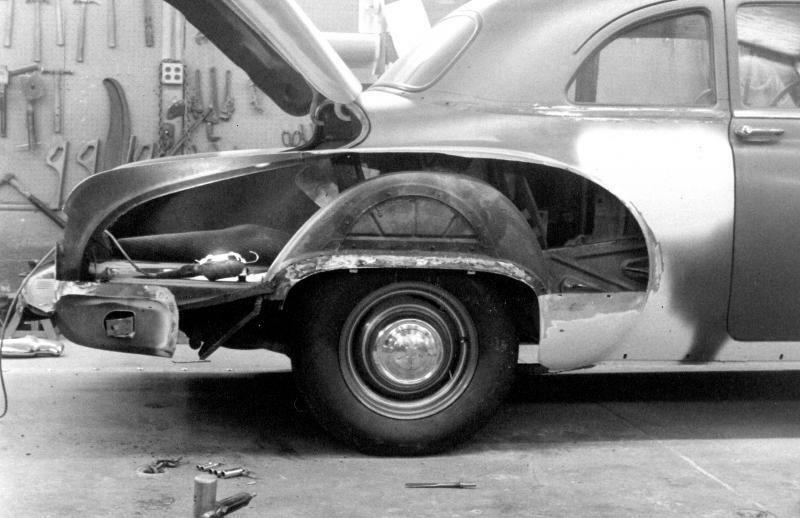 When fixing the rust on my Fleetline, I could see no purpose to rebuilding the part circled in your pic. I did run the drain hose from the quarter window trough out through the inner rocker panel. 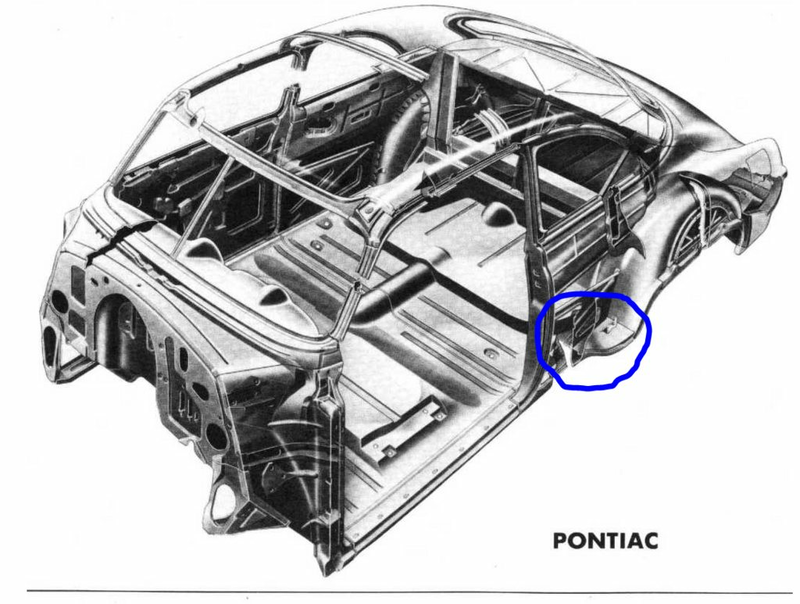 Otherwise it seemed to drain into the lower quarter, and without good drainage from there I thought the water would just sit in the lower quarter and rocker panel. Hi John, How about the fact that when driving on wet roads the tires spray up a lot of water so it's like its raining upwards. Fisher had been building these type of bulbous guard bodies for years so I don't think it would be superfluous. Had to scroll back to see what we were commenting on. I see now that I must have misunderstood something. 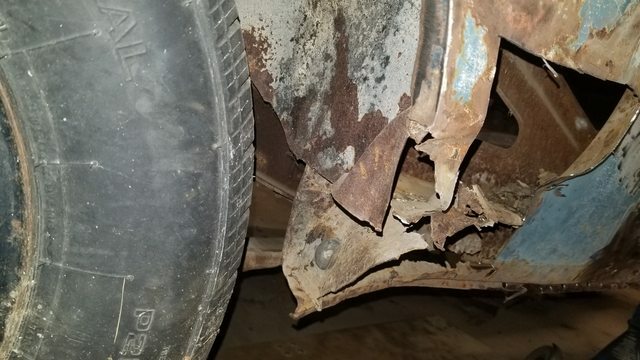 I did make the part from the drawing that is pictured, and posted by Ram_51 on 2/2/19 (rocker panel end cap) and used the same pattern pictured too. 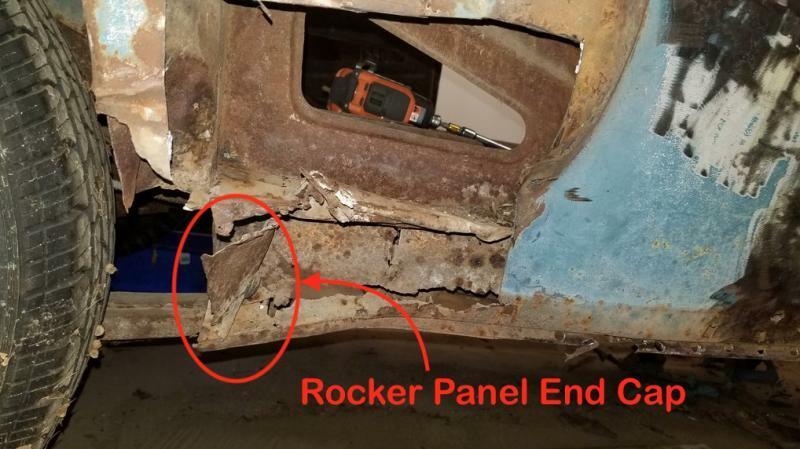 Without that panel, the rocker panel would probably fill up with water while driving in the rain. The panel I didn't rebuild is shown in a post by tommy49 on 2/2/19. 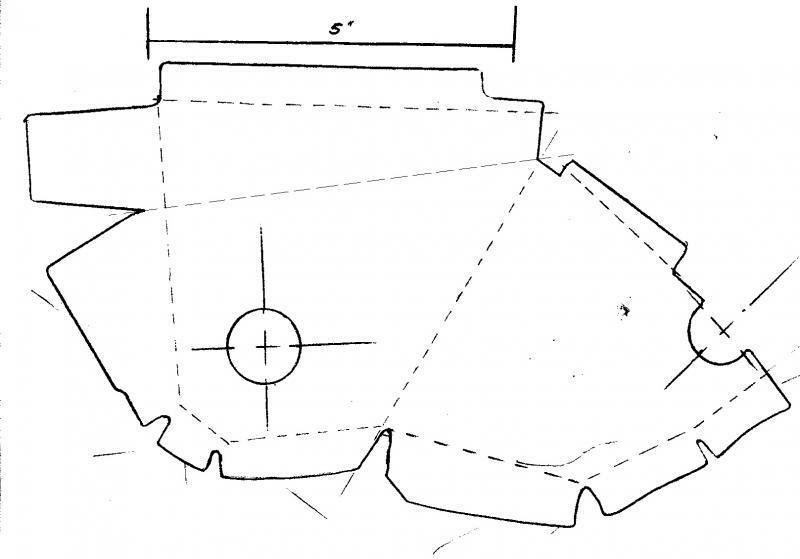 Titled splash_baffle_1.JPG. Execution time: 0.115 seconds. Total Queries: 21 Zlib Compression is on.